Who doesn’t love those Back To The Future movies? The first two specifically were formative for us as youngsters, catapulting shrimpy Michael J. Fox to the pop-culture-icon stratosphere. 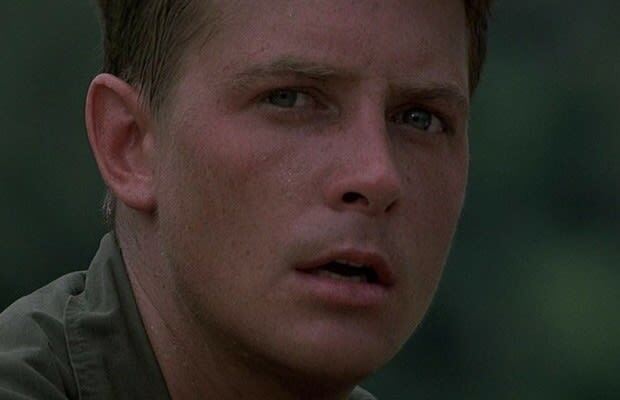 In between Back To The Future and Back To The Future 2, though, he took a shot at dramatic credibility in Brian De Palma’s dark Vietnam film Casualties Of War. Pitted against the ferocious Sean Penn, Fox, not for lack of effort, looked like a boy playing with items in his father’s gun collection.